Happy Friday eve, dear readers! 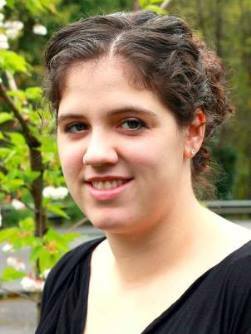 Today on the blog I am super excited to be hosting author Rosanne E. Lortz! 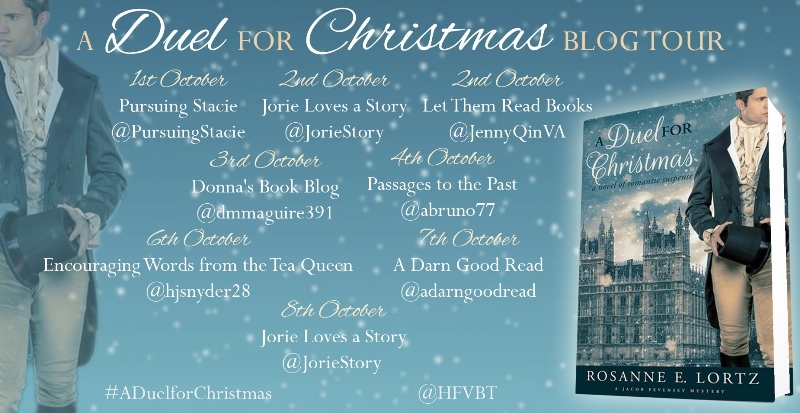 Rosanne is currently on blog tour for her latest release, A Duel for Christmas, and she stopped here today to talk about the Regency Era. I hope you enjoy the post! 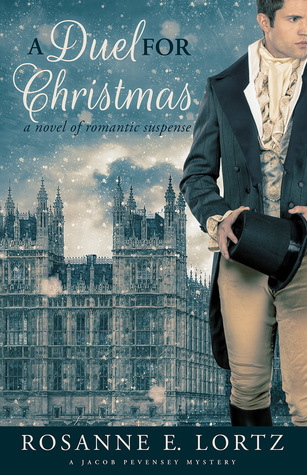 Be sure to read all about A Duel for Christmas and enter to win a $20 Amazon Gift Card. In my new holiday Regency, A Duel for Christmas, Lady Maud Worlington is five years older than Geoffrey, the Duke of Tilbury. Having previously been in a May-December marriage with a man decades older than herself, she is determined not to make the same mistake again in the other direction. The young duke would grow tired of her, that she is certain. Throughout the story, resourceful Geoffrey must endeavor to convince Maud that he is more than a jealous youth—he is a man able to love her and protect her interests. The norm for Regency novels written fifty years ago seems to have a naïve teenage heroine swept off her feet by a much-older man who is experienced in the ways of the world. More recent Regency novels, make the heroine older, in her mid-twenties or almost thirty, an intellectual equal with her romantic partner, though perhaps a bit of a spinster because of her unwed status. But what was the actual norm for the Regency Era? When did women, particularly aristocratic women, marry? In the latter part of the eighteenth century, the age of consent for marriage was fourteen for boys and twelve for girls. As this was the minimum age, it does not mean that every marriage was between teenagers. Per historian Lawrence Stone, the median age for a highborn young woman’s first marriage during the early Regency period was 23 or 24 years old. This puts Jane Bennet ahead of the curve with her marriage to Bingley at the age of 22, while Lizzie, who married Darcy at the age of 20, is a babe in the woods compared to the average upper-class bride. The gentlemen, as might be expected, were older. For young men in line to inherit a title, the median age is 29 or 30. Darcy comes just short of that number, being 28 when he meets Lizzie. Bingley, on the other hand, is a mere 22 when he lets Netherfield, at the same age as Jane herself. To take a more historical example, Lord Byron was 27 when he contracted his ill-fated marriage with Lady Byron who was then 22. If we examine the marriages of the patronesses of Almack’s (the most famous watering spot in Regency novels), we see a mix of age differences. Lady Jersey married George Villiers when she was the tender age of 19 and he the ripe old age of 31. Lady Cowper married at age 18 to a man who was 27. Both these ladies united themselves with men much older than themselves. On the other hand, Mrs. Drummond-Burrell was 21 when she hyphenated her name with her 25 year old husband. Lady Castlereagh was 22 to her husband’s 25 years. Here we see a closer age gap, with both parties in their twenties. Two of the patronesses married abroad before coming to England, so their marriages are perhaps more reflective of age differences on the continent. Countess Lieven was only 14 when she married her 26 year old husband in Russia. Princess Esterhazy, at age 18, was married to an Austrian diplomat who was then 26. And then there is Lady Sefton, who like my heroine, is a bit older than the man in her life. At the age of 23, Lady Sefton married a younger man of only age 20. From this anecdotal swathe of data, we can see that although there might be minimum ages and median ages, in a very real sense, none of this information was binding to individual couples. Marriages for love, marriages for position, and marriages for money had many other considerations besides the age of the proposed partner. And while the norm might have been for a lord to be five or six years older than his lady, the variations to that norm are endless and can play out delightfully in the pages of both history and fiction. Well, that was fascinating! Thank you, Rosanne! During the Blog Tour we will be giving away a $20 Amazon Gift Card! To enter, please enter via the Gleam form below. – Giveaway ends at 11:59pm EST on October 9th. You must be 18 or older to enter.